Is there a right time to migrate to Lightning? As consultants, this is a question we get asked a lot. The answer? Yes, now more than ever before. However, as most existing Salesforce Lightning users already know, it is not a simple case of switching it on and walking away; even if it’s a tempting option. Having worked on a number of Salesforce Lightning migration projects, I would like to give a view from my perspective on what factors have contributed most to a successful transition to LEX. Download the Lightning Experience Readiness Report and Visualforce Report and review in detail. 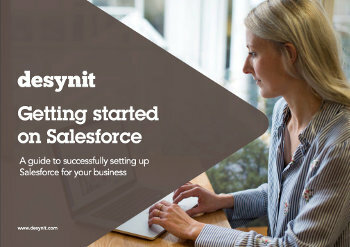 Salesforce have done a great job of providing an in depth analysis of your system and this will give you a really good overview to help plan the rest of the project. Check for hard coded links: the URL for LEX is different and the readiness report will point out any that may need changing, although hopefully not too many of these exist! If you have not yet enabled My Domain this is a really good time to do this. Check all of the installed packages currently in use. Find out whether the apps you are using have been made Lightning-ready by looking for updates on the AppExchange. This is also a chance to remove any that are never used, or have been replaced by newly built-in features in the standard Salesforce offering. For example, one client had an app to upload multiple attachments to a record at the same time – this is now easily achieved in Lightning through dragging items direct into a files related list. As well as considering the large number of improvements Salesforce have made in Lightning, now is a chance to review the original purpose and workings of any of your existing customisations. Having been through this in our own org, we found some processes were no longer relevant, having been solved through new Salesforce functionality, or in some cases in fact no longer relevant to our current business operations. For example, why have custom links to reports from record pages when you can easily add a chart component to a Lightning page and have the information displayed there and then? Finally, while it is not an essential for a successful switch to LEX, the report will indicate where there are redundant items, for example visualforce pages or page layouts. It is good to know however for future clean-ups. To take it a step further why not run the Salesforce Optimizer report? This will give you further suggestions on how to improve your implementation. The Lightning page builder will help to get the look right, which is after all, one of the prominent benefits of LEX. Usability is key to success and it is necessary to work very closely with key users and departments. It is a great idea to find out what the current pain points are: if you can solve these it will give the maximum ‘wow’ factor when the LEX is let loose. Pages can be built very quickly and easily – however with so many options now available, consider initially having a consistent format across the main objects that are used. This will help users to ‘get their eye in’ as quickly as possible, especially if they have been very used to Classic. The Related List Quick Links component is a good option to maintain some consistency with Classic and it provides a very quick way of seeing related records without taking up to much real-estate on users screens. LEX pages allow for a very customised view of records which can now be ‘activated’ for different apps, record types and profiles. This makes it easier to design apps for different work functions. For example, for a recent client, their warehouse team had the same view of an order as the project management team who had overall responsibility for the delivery of the same project. On migration to Lightning, we streamlined the information by creating an order fulfilment app specifically for the warehouse staff to manage items from a ‘picking list’ on an order. Before going live to the entire company, you can give users selective access to switch to LEX. Salesforce suggests giving access to a champion within the business to work in their daily job in the new setup for a week, gain feedback and make any final tweaks. This is a great way to handle the launch. Hopefully, by following these recommendations you will solve any pain points your users could experience. What’s more, if you also manage to introduce some of the nice new features along the way, you will have happy users and more importantly buy-in so that they do not ever switch back to Classic. And that’s really what a successful migration to Salesforce Lightning looks like! 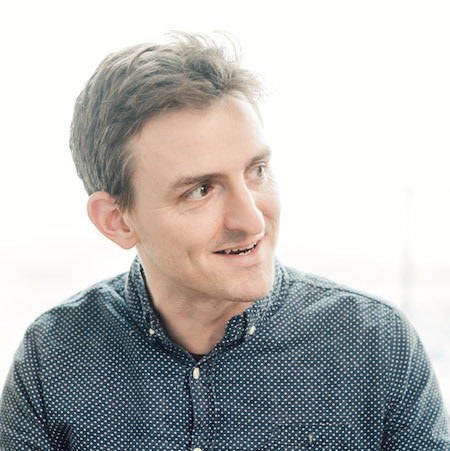 James Harbutt works with the Desynit delivery team as an Advanced Salesforce Administrator and a certified Service Cloud Consultant. He has a great working knowledge of Salesforce, and how to make the platform best deliver.